The gene editing technique also raises concerns. Could the new tools allow parents to order "designer babies"? Could premature use in patients lead to unforeseen and potentially dangerous consequences? This potential for abuse or misuse led prominent scientists to call for a halt on some types of new research until ethical issues can be discussed – a voluntary ban that was swiftly ignored in some quarters. That all changed in 2012, when several research groups demonstrated that a DNA-cutting technology called CRISPR/Cas could operate on human DNA. 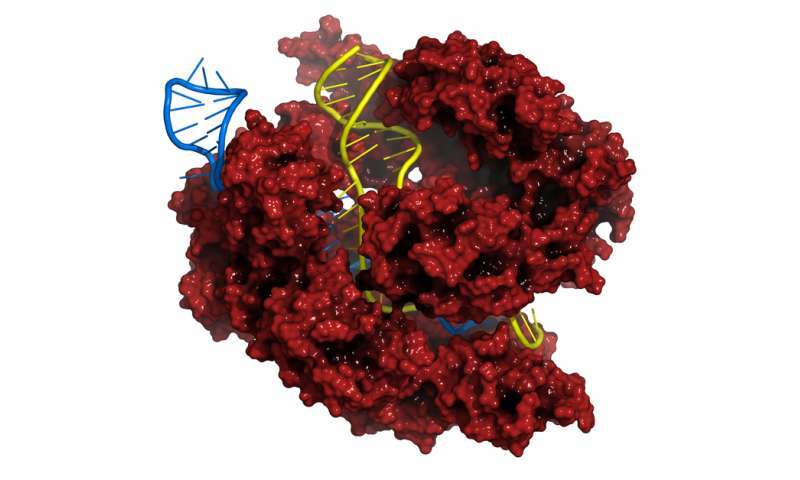 Compared to previous, inefficient methods for editing DNA, CRISPR/Cas offers a shortcut. It acts like a pair of DNA scissors that cut where prompted by a special strand of RNA (a close chemical relative of DNA). Snipping DNA turns on the cell's DNA repair process, which can be hijacked to either disable a gene – say, one that allows tumor cells to grow uncontrollably – or to fix a broken gene, such as the mutation that causes cystic fibrosis. The advantages of the Cas9 system over its predecessor genome-editing technologies – its high specificity and the ease of navigating to a specific DNA sequence with the "guide RNA" – have contributed to its rapid adoption in the scientific community. And making cuts in one's DNA is not without risks. Cas9 – the scissor protein – is known to cleave DNA at unintended or "off-target" sites in the genome. Were Cas9 to inappropriately chop an important gene and inactivate it, the therapy could cause cancer instead of curing it. Writing in the journal Science, the group – including two Nobel laureates and the inventors of the CRISPR technology – noted that we don't yet understand enough about the link between our health and our DNA sequence. Even if a perfectly accurate DNA-editing system existed – and Cas9 surely doesn't yet qualify – it would still be premature to treat patients with genetic surgery. The authors disavowed genome editing only in specific cell types such as embryos, while encouraging the basic research that would put future therapeutic editing on a firmer foundation of evidence. Despite the publication of the Protein & Cell study – whose experiments likely took place at least months earlier – the Science plea for a moratorium can already be considered a success. The request from such a respected group has brought visibility to the topic and put pressure on universities, regulatory boards and the editors of scientific journals to discourage such research. (As evidence of this pressure, the Chinese authors were rejected from at least two top science journals before getting their paper accepted.) And the response to the voluntary ban has thus far not included accusations of "stifling academic freedom," possibly due to the scientific credibility of the organizers. "Could the new tools allow parents to order "designer babies"?" Anyone else find it contradictory to halt research until more information is found?